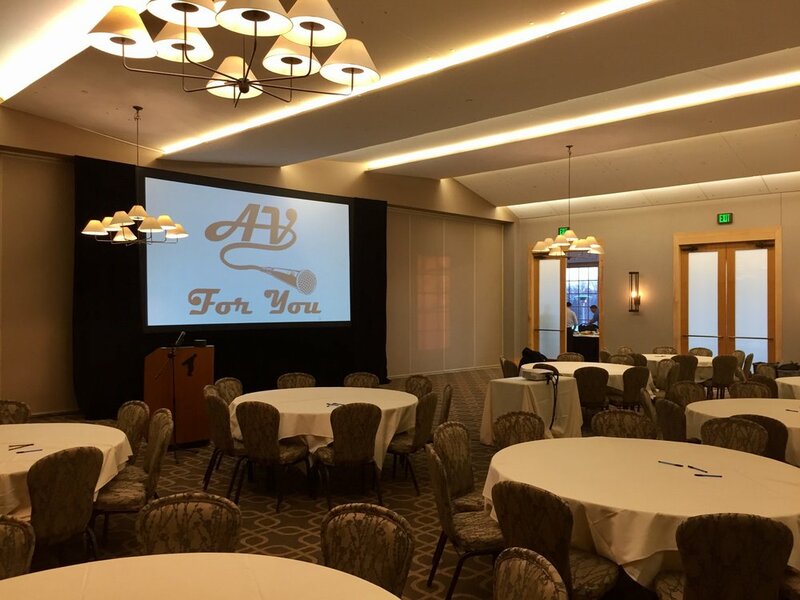 AV for You provided video for the Hyperion Research Group at Hazeltine National Golf Club in Chaska, MN. For video we set up one of our new Screen Works 8’ x 14’ fastfold screens. We also provided three of our Epson 3K HD projectors as well as VGA and HDMI cabling.